Farm Girl Pink....: ~ Vintage steel and enamel wares... in pink! 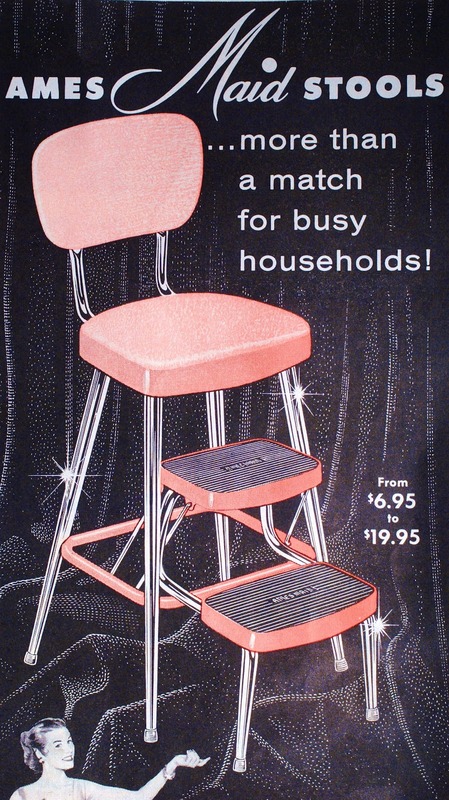 Now I have seen oodles of these pretty Ames Maid step stools - chairs for years. These were built to last. I have not seen a lot of them in pink though. But in red or black. Oodles of them. And for the most part they can be located with a minimal amount of rust on the lower legs. These stunning pink enamel pans have been pretty hardy too. They came in all kinds of color combinations. Including turquoise and yellow with the black trim. 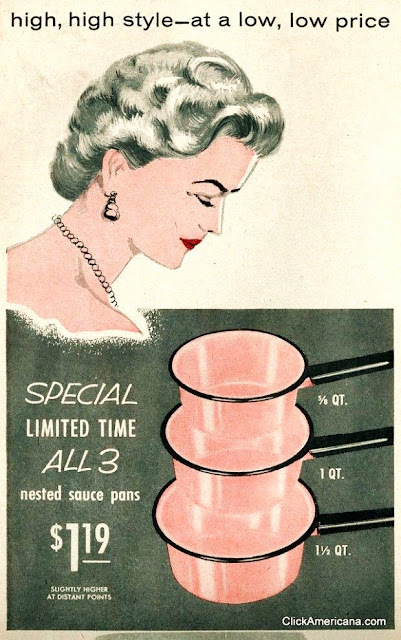 I have shown off my pink enamel roasting pan before... there was really a large line of items that were made. So starting a collection of them is not hard to begin. Thanks, Sheryl. That is sweet of you to say. I do have things and pictures to post... I just lack the effort to sit still and get it done. I want one. Where can I find it? I want one, where can I get one?